Annette Wilkus, FASLA, ASLA’s VP of Professional Practice, talks to Forbes magazine about her company, SiteWorks, and her career in construction management. 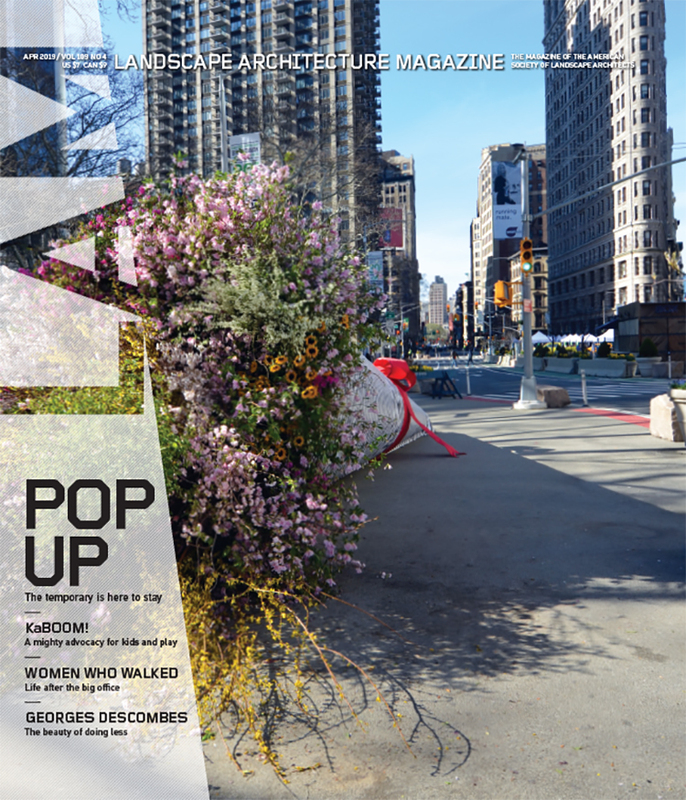 LAM’s November 2012 issue on climate featured Cornelia Hahn Oberlander, who is to receive the 2014 IDC/IIDA Leadership Award of Excellence from the Interior Designers of Canada and the International Interior Design Association. Al-Azhar Park, in Cairo, covered in LAM in April 2011, is part of PBS’s e2 series. The series, narrated by Brad Pitt and Morgan Freeman, looks at “the economies of being environmentally conscious.” Not new (2009), but new to us, and an intriguing look at the city before its current turmoil. Dana Goodyear’s unsettling piece on Valley Fever in the New Yorker points to the increase in dust-born fungal infections linked to soil disturbance and drought. BLDGBLG takes a snow/mind-blowing trip into the constructed landscapes of the Swiss Alps. The latest installment in the podcast series Exploring Environmental History tries to answer the question, What are the Environmental Humanities? According to a recent report, climate change gets shortchanged on network TV, but that fact itself may be about to change. The Cities and Nature: Urban Ecological Design and Planning conference at the University of Texas at Austin (February 27–March 1, 2014) will reprise the ground-breaking conference that led to Ecological Design and Planning (1997). A bit late but worth keeping an eye on: the Rivers of the Anthropocene project just held its first conference at Indiana University-Purdue University, Indianapolis. The event brought an international group together to focus on “rivers and their landscapes as human-nature entanglements,” particularly the Ohio and Tyne River systems. Poland’s Crooked Forest cries out for interpretation. Or interpretive dance. Acrophobes, do not click here. We mean it.